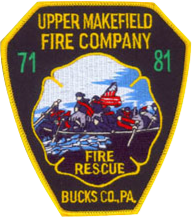 At Upper Makefield Fire Co.
Our WFRs include large scale scenarios so that you'll learn to work as a member of a high functioning rescue team. You can't be a WFR unless you can build effective splints with improvised materials. 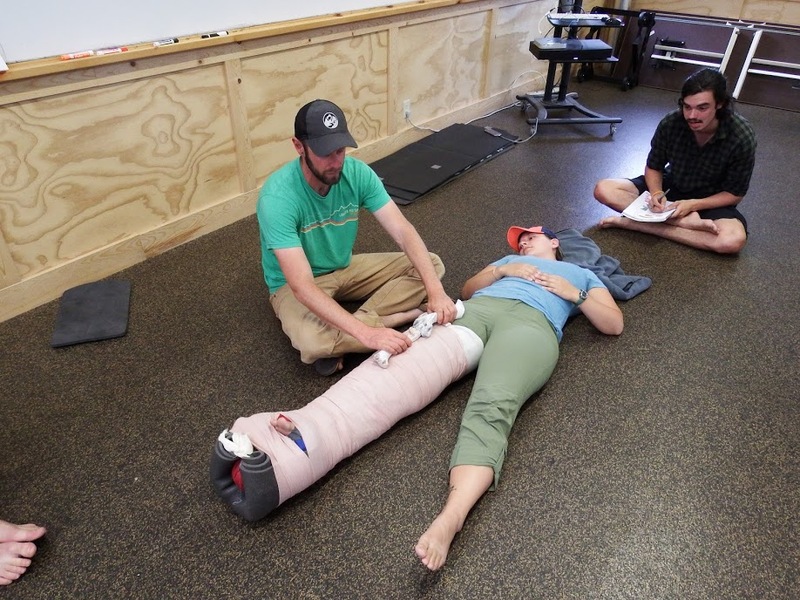 Get hands on experience with advanced rescue tools, such as a full body vacuum splint. Learn how to take blood pressure, listen to lung sounds, and correlate your findings with specific illnesses and injuries. Dave uses elk bones for a demo while teaching about femur fractures in Wyoming. Stage makeup, called "moulage," is used to simulate traumatic injuries. Our education is detail oriented, right down to the color scheme for each whiteboard display. If you work or play in remote environments, you should have a Wilderness First Responder certification. 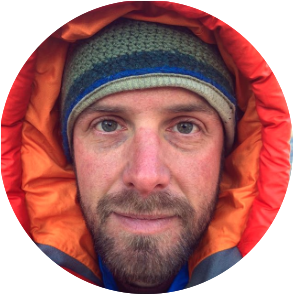 It's the industry standard for professional guides, trip leaders, SAR team members, and many ski patrols. 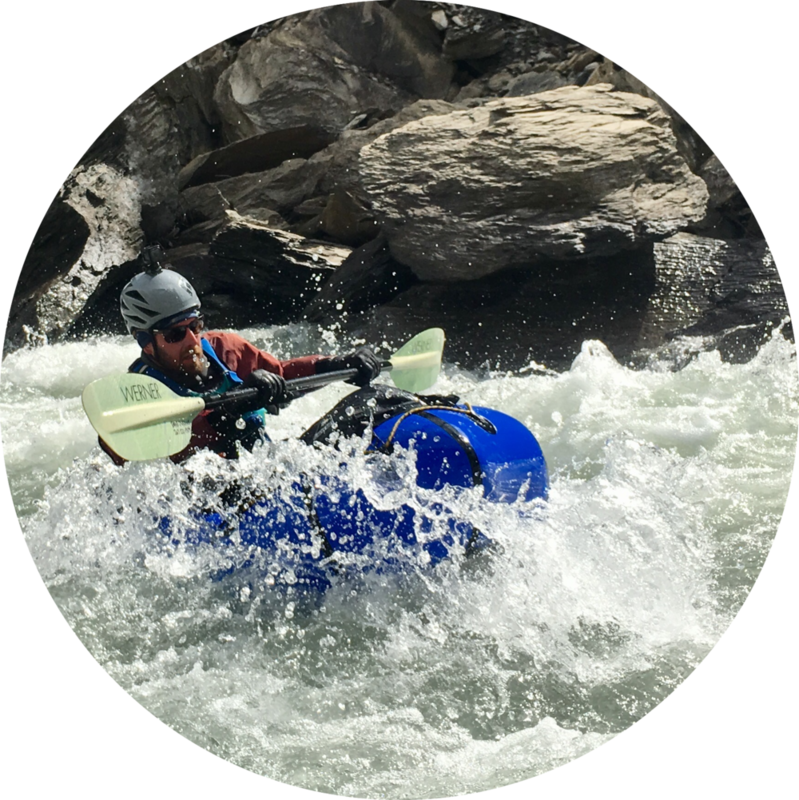 WFR training is also great risk management for international travelers and outdoor enthusiasts who adventure without a guide. The WFR is an in-depth look at patient assessment, traumatic injuries, environmental topics, and medical emergencies. 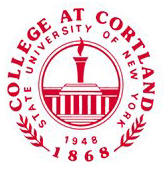 A comprehensive class with far more hands-on practice than a WFA, this course includes both CPR and epinephrine administration certifications. 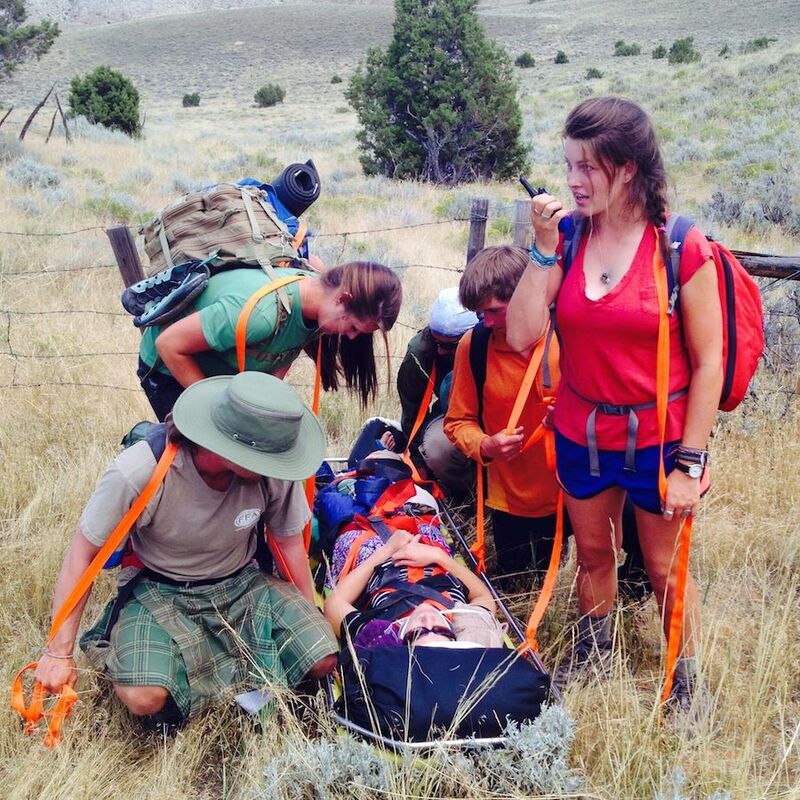 WFR students can earn three hours of college credit through the University of Utah, and 70 hours of EMT CEUs through NOLS Wilderness Medicine. 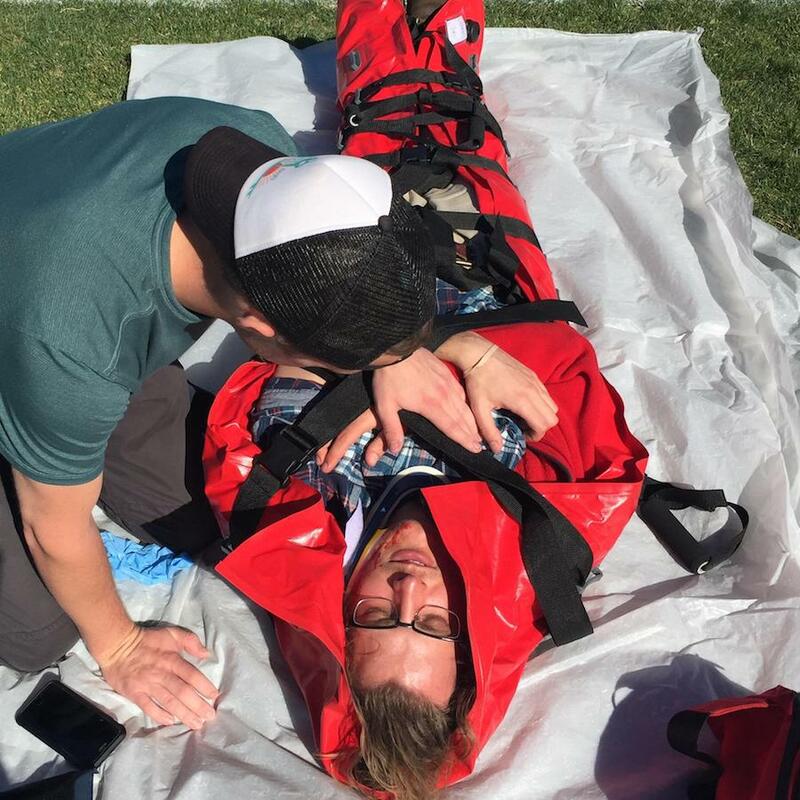 Graduation from a WFR turns an EMT into a Wilderness-EMT. 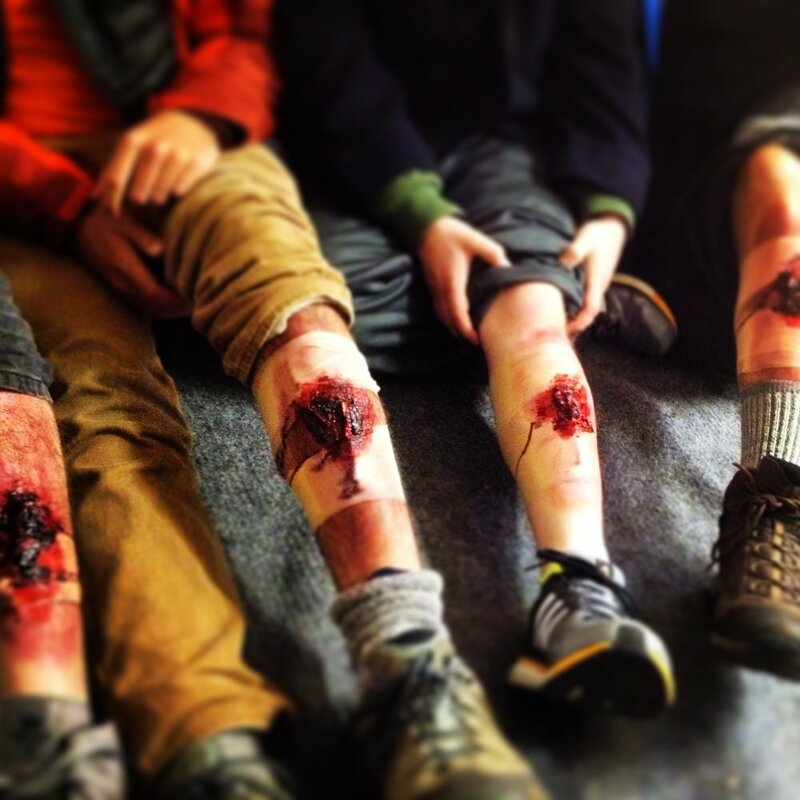 Students consistently report that highlights of their WFR course included an extended night scenario, Mass Casualty Incidents, and fun, interactive classes on everything from dressing a blister to dealing with an appendicitis in the backcountry.